The nose of the ice-encrusted airship rose dramatically in the forty knot headwind, sending the crew tumbling backwards while General Umberto Nobile struggled to keep Italia in the air against such ferocious gales. 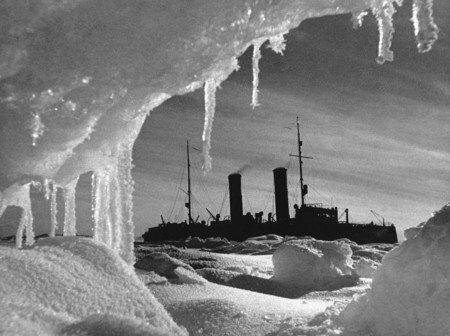 The great hydrogen filled vessel was buffeted back and forth in the worsening weather and, overwhelmed by excess ice, came crashing down on the arctic ice with such force, the gondola and engines were torn off and the airborne wreckage blown away with six men still clinging to the hull. It was May 1928 and the age of the mighty airship. The famous Italian dirigible captain who, just two years before, was feted as a hero and promoted to General after piloting Amundsen and Ellsworth to the Pole in an airship of his own design, was about to enter the realms of history again – for all the wrong reasons. Nobile’s drama later became the subject of the 1969 Hollywood blockbuster, The Red Tent, starring Peter Finch (as Nobile) and Sean Connery (as Roald Amundsen). Nobile died in Rome in 1978 at the ripe old age of 93. If there was real hero to this story, it was Russia’s first proper icebreaker, the Krassin. 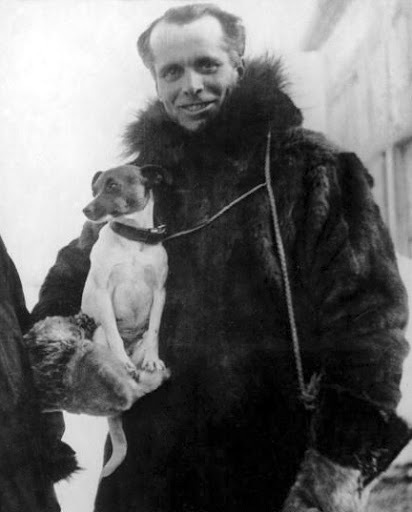 With the survivors of Nobile’s Italia languishing on the ice and his supposed support vessel, the Città di Milano, sitting suspiciously idle, a number of fruitless search and rescue attempts were launched by air, the most famous being the total disappearance of the legendary Roald Amundsen and five others whilst searching for the crew. The world’s media held their audiences in suspense with every report of the multinational rescue effort and soon great national pride was at stake for the successful rescuers. So chaotic and disorganized was the rescue, that ultimately the survivors’ only chance rested with the trusty Krassin and she was hurriedly prepared in Bergen and finally sailed on June 24, a full month after Italia’s crash. Loaded with a Junkers aircraft for aerial searches, her journey to Spitsbergen with 138 souls, including media, tested the mettle and stomachs of all aboard. Built in Britain in 1916 to a Russian design and originally named Svaytogor, she was built for rugged practicality and bore very few creature comforts. 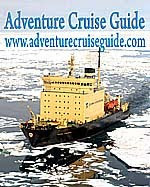 But with 10,000 horsepower, the 6,000 GRT, 100m vessel was the most powerful icebreaker in European service at the time. After more drama amongst the ever-thickening ice, Krassin suffered propeller and rudder damage, Captain Karl Eggi was forced to a halt and launched her aircraft to complete the search. Skilfully piloted by Boris Chuckhnovsky, the red tent was eventually located and the survivors brought aboard on July 12th, delivering Russia a momentous propaganda victory. If that weren’t enough, the brand new German tourist ship, Monte Servantes, with 1500 passengers aboard had struck ice on July 24 in an attempt to observe the Krassin in her search. Holed and taking water, she was in serious danger of sinking. Damaged as she herself was, Krassin diverted to the stricken liner and her divers repaired the hole. Upon her eventual return to Leningrad on October 5, the entire city turned out to welcome her and she was awarded the prestigious Order of the Red Banner of Labour. Krassin continued to serve her country throughout the Second World War, where she undertook the treacherous Arctic convoy duty. She was fitted with 76mm and anti-aircraft guns for this purpose and survived this ordeal and the rest of war virtually unscathed. She was extensively refitted after 1953 and continued to serve until 1971 when she was finally and graciously retired to Saint Petersburg where she is now a floating museum.